Back in the second week of November, we got to know that Samsung Galaxy S3 Users were finally getting the Android 4.1 Jelly Bean OTA Update on their smartphones. But, just after two weeks of the release, it was barred. Samsung India testified the barring by clearing that the update containted some bugs which could harm the devices. Samsung had also promised to roll out the update as soon as possible. This might mean that the update is under process and thus, users might receive the update over the air in a few days. Meanwhile, Jelly Bean update for Samsung Galaxy S3 users in India is available via Samsung Kies with a file size of 290MB. Other key enhancements that came with the update include offline Google Voice Dictation and improved keyboard followed by expandable notifications. Users can also check for the update manually from Settings → About → Software update. 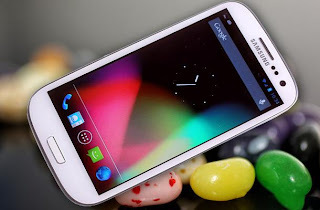 0 Respones to "Android 4.1 Jelly Bean Update for Galaxy S3 Rolled out"